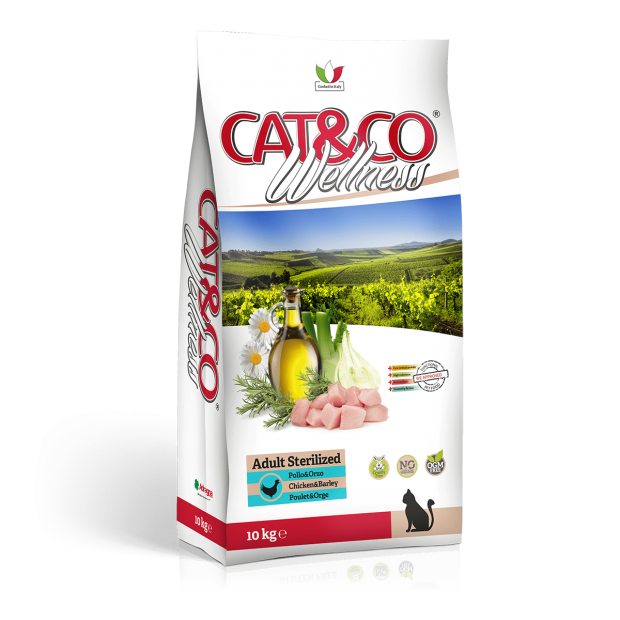 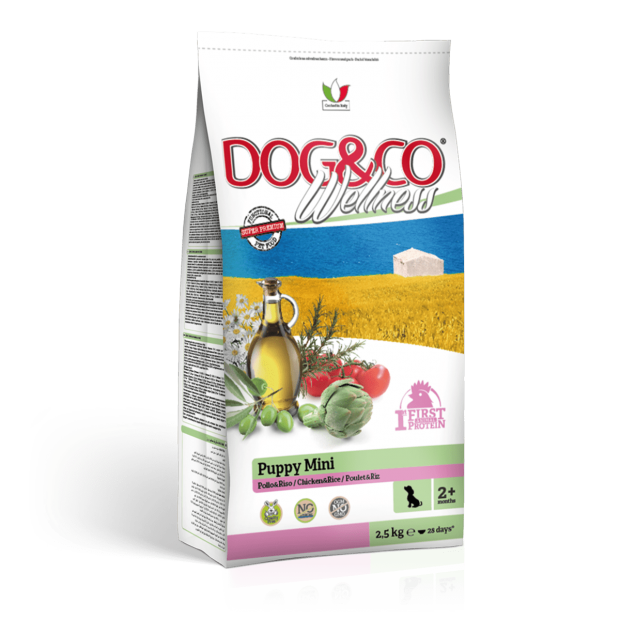 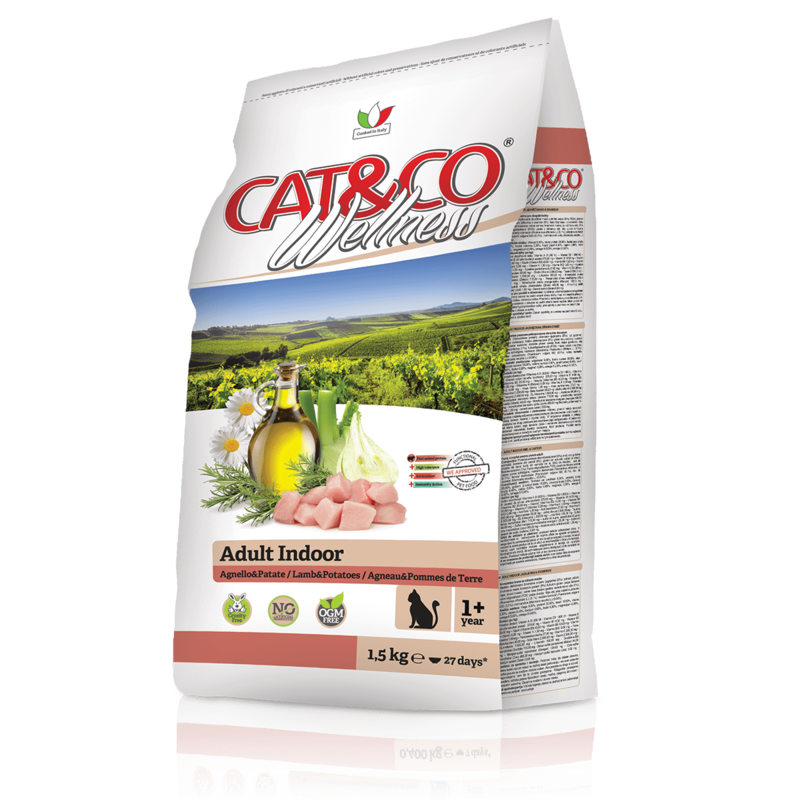 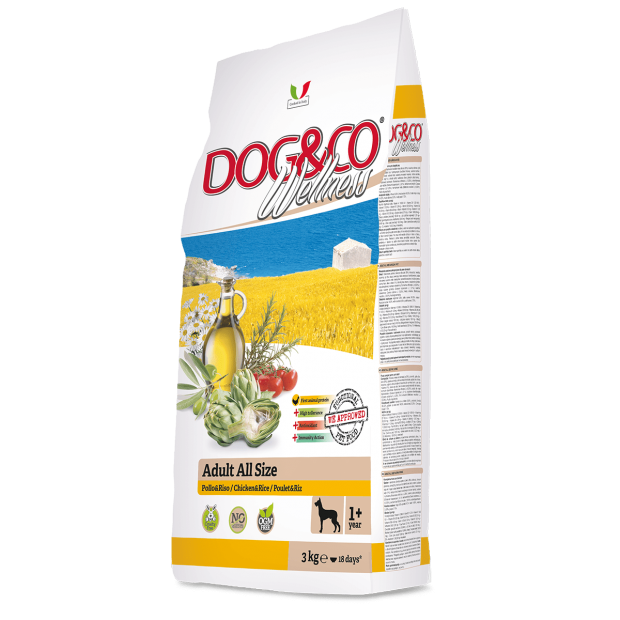 Adult indoor – Lamb and potatoes meets the nutritional needs of adult cats, without artificial colourings or preservatives. 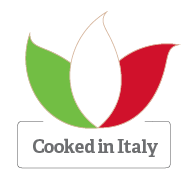 COMPOSITION Dried animal proteins (lamb 22%); rice; barley; animal fats; potato protein (9%); corn gluten; beet pulp; brewer’s yeast; linseeds; green pea flour; corn; sunflower oil (1%); fructooligosaccharides (FOS); chicory pulp; fish oil; yucca schidìgera; dried rosemary (Rosmarinus officinalis L.) (0,1%); dried fennel (Foeniculum volgare Mili) (0,1%); dried chamomile flowers (Matricaria recutita L.) (0,04%). 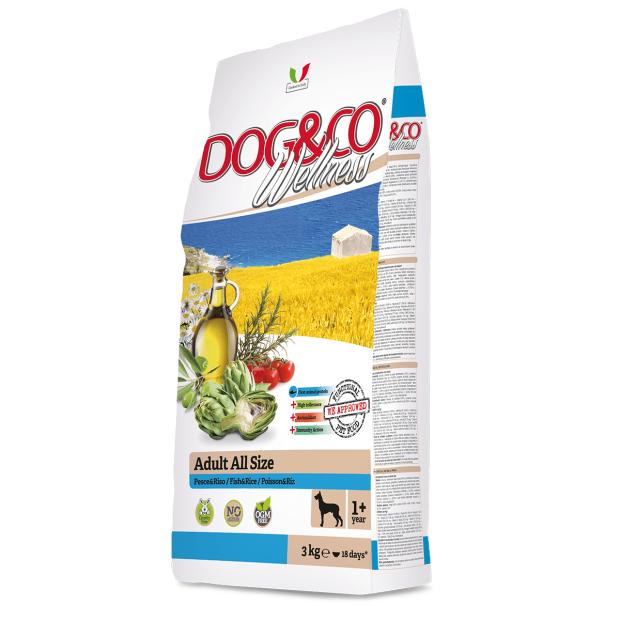 ANALYTICAL CONSTITUENTS Moisture 9,00%, crude protein 33,00%, crude fats and oils 16,00%, crude fiber 2,30%, crude ashes 6,40%, Calcium 0,90%, Phosphorous 0,85%, Magnesium 0,08%, Omega 3 0,60%, Omega 6 3,00%.